A beautiful place with minimalistically decorated rooms, a swimming pool and a banquet hall to make for a relaxing experience. Fantasy Resorts provides a comfortable stay to its residents and has cosy and modest rooms. The space is well-furnished with modern furniture and has ample space for the guests. The colourful curtains make the room look chic and lively. 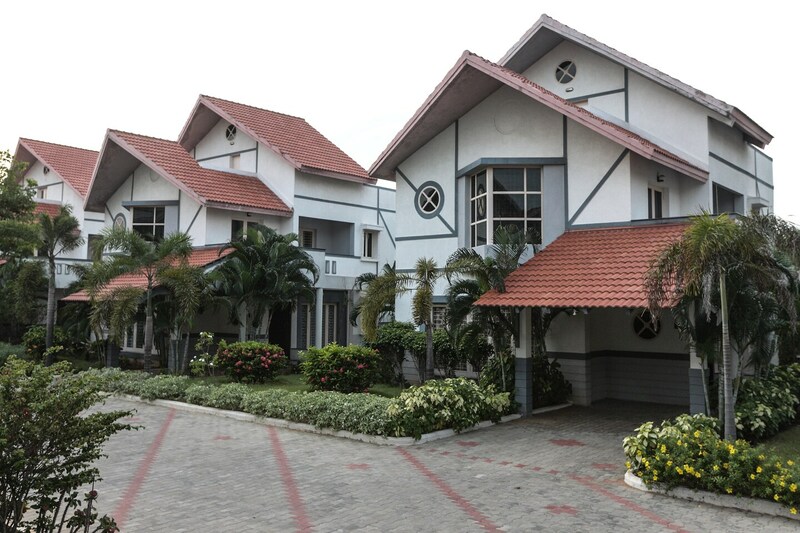 The hotel has a beautiful campus and is filled with greenery, which creates a calm ambience. The residents can use the swimming pool to spend a relaxing and rejuvenating time. The hotel has a large banquet hall that can be used to host various events. It also offers parking and laundry facilities for its guests.